We offer 24 hour emergency glass board up service in the entire NYC tri state area! low price repairs and free board ups with your glass installation purchase! We know that unpredictable weather, crime, and other emergencies often lead to broken windows and broken glass in your business. 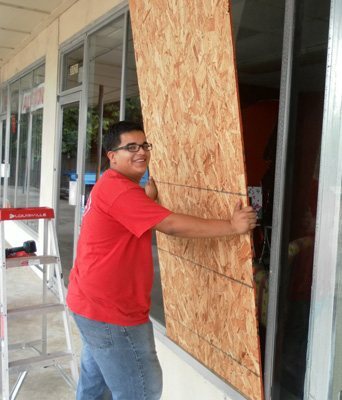 We also specialize in emergency broken glass fire board ups and board ups for heavy winds and hurricanes. Car drove through you storefront at 2am? We can secure your storefront and clean up the mess in no time. We offer two emergency services to our customers, we have our standard emergency glass board ups that are free to our customers when they have their glass replaced by us and includes removal and haul away of broken glass, and we also have a 24 hour emergency glass and door repair shop on wheels, known as our Mobile Glass Service. 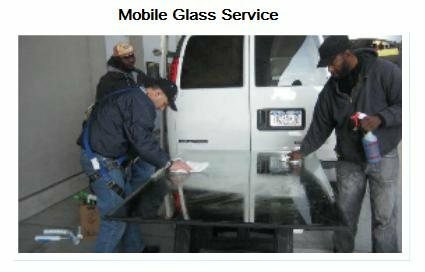 Our Mobile Glass Service offers same day replacement of stocked glass and doors and door parts glass cut to size onsite and installed with in minutes. Say good bye to unattractive board ups covering your storefronts, no down time quick install and clean up services. Keeping our customers doors open 24 hours a day 365 days a year for over 30 years. Stocked with oversized and standard size door and window glass, rixson, dorma lcn, concealed overhead door closers, pivots door tracks and arm springs and much more stocked in our trucks . We get the job done fast!